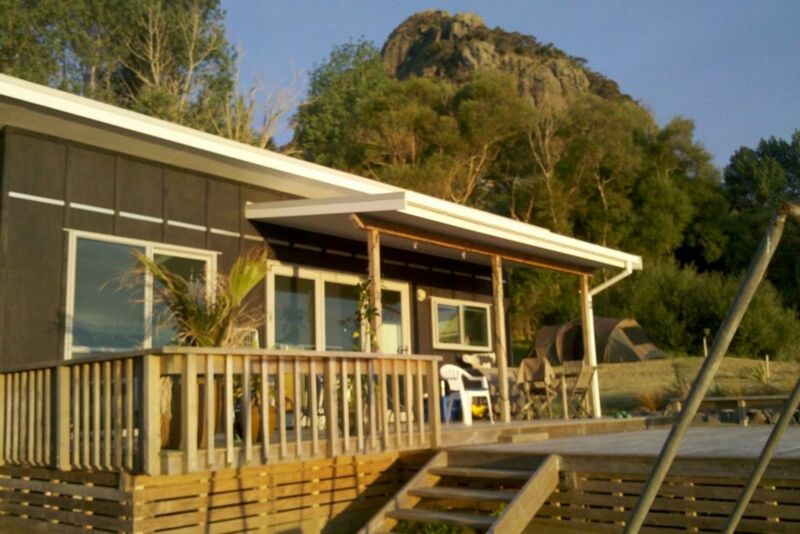 This modern family bach is ideally positioned to take advantage of everything the historic Whangarei Heads area has to offer - swimming in the Harbour or Pacific Ocean; fishing from boat or shore; any number of wonderful walks and longer tramps right from the gate, and handy for local cafes and shops. Set on over an acre of land, the family-friendly Bach offers plenty of parking for cars and boats; a huge deck to enjoy the sun and views; and space and privacy to really relax away from the stress of the modern lifestyle. The main bedroom offers a double bed, the second has two bunks. Hot water is gas heated ; the kitchen electric and includes a dishwasher, stove etc, or you can cook and entertain out on the deck with the gas barbeque. Freeview TV is also available and if you want to watch SKY you can bring your own decoder or SKY card if you have MY SKY. The Pukeko Pad is ideal for a romantic weekend away for a couple, or bring the kids for a great relaxing holiday at the beach for the family. Please note - the Bach is small and only suitable for a couple or a couple with two small children. We do allow dogs, but the property is unfenced and there are Kiwi living in the area. We do ask that you please control your dog and clean up after them, also no dogs inside please. The Bach gets cold in winter please make sure you bring enough bedding. Great walking tracks just minutes away. Shower, toilet and hand basin. Electric oil heater provided during winter. Enjoyed our stay, especially the view and the sunny deck. Great climb up Mt Mania for fabulous views and Ocean Beach is one of our picks for a refreshing swim in the surf. "Pukeko Pad" location! Location! Clean,great indoor outdoor flow,everything you need away from home! Absolutely will return again! Thank you for sharing your kiwi batch classic thoroughly appreciated the hot water shower outdoors! Features including powerful shower in bathroom, swings on the deck, board games, dvds, very family friendly!! Our son felt in "pukeko heaven" especially when he found a box of lego!! close to stunning beaches,cafes thank you "The Deck" great latte!! Also the mighty Mt Manaia!! What a view on the summit! Will highly recommend. Fantastic spot!! Really enjoyed our stay. Great place to stay. Wish it was longer. Thanks for a well set up accommodation. We found this to be a relaxing/easy weekend and our dog loved the big lawn area, we were able to exersise her with the ball from the nice big deck area. We would love to come back again. What a beautiful spot! Absolutely loved our stay at Pukeko Pad. Already planning a return. A perfect holiday spot for our family with 2 young boys. We loved the outlook, the sunsets and the HUGE deck. The boys loved running off the deck onto the trampoline. The promiximity to some wonderful walks on the doorstep meant we got some fabulous hikes in without even getting into the car, the Reotahi Coastal Walk & Mt Aubrey. Great spot to explore the local beaches and enjoyed The Deck cafe...also walkable distance. The house had everything we needed and was very comfortable. We had great weather so it meant we lived on the deck mostly, making it an easy clean up. Super low maintenance stay but with everything you need at the same time. Modern & tidy home, cosy & comfortable. Great shower also the outdoor shower was a real treat. Plenty of WOW factor, Pukeko Pad has it all and yes, we did want to stay longer. So much to do at the Heads that we are already planning a return and an easy decision to stay here again. What an Awesome little Bach & in such a stunning location. I will definitely be booking again.